Freelance, pictures for table displays at upcoming Bat Mitzvah. Mazel Tov lovely soccer player! 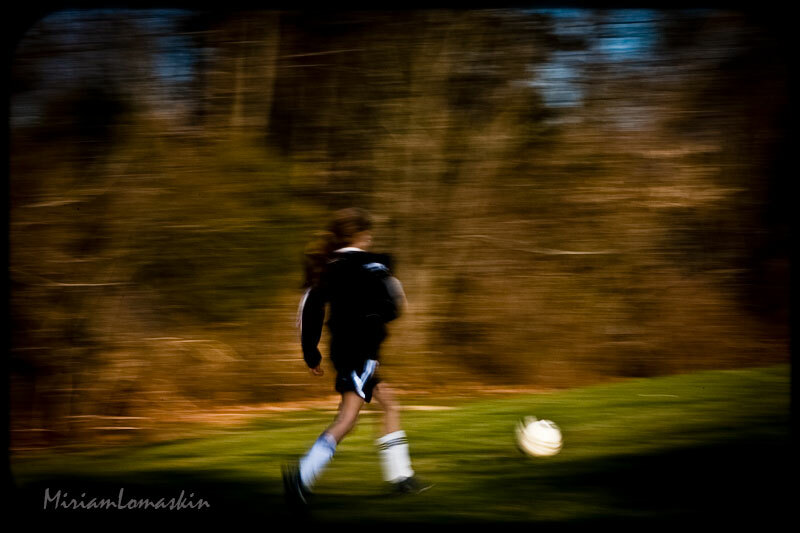 She looks like she's running full-speed ahead, a good blur! I love the spinning ball!